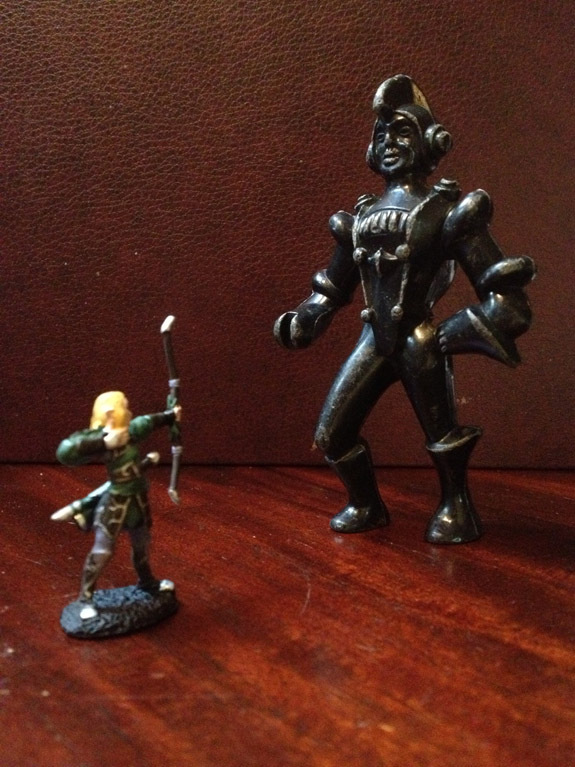 Last Friday, I had the occasion to play hooky with my wife an hit a few estate sales. I say "hooky," but she's a teacher home for the summer, and I'm a designer that works from home. 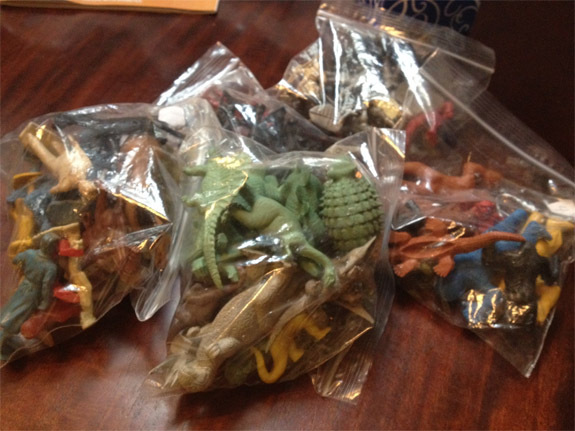 We hit an estate sale not too far from our house, and I found boxes of vintage plastic toys in zip bags. I picked through for a few bags that I could re-purpose at the table, and tried to limit myself to about $30. The bags ranged from $2-$6, depending on the contents. 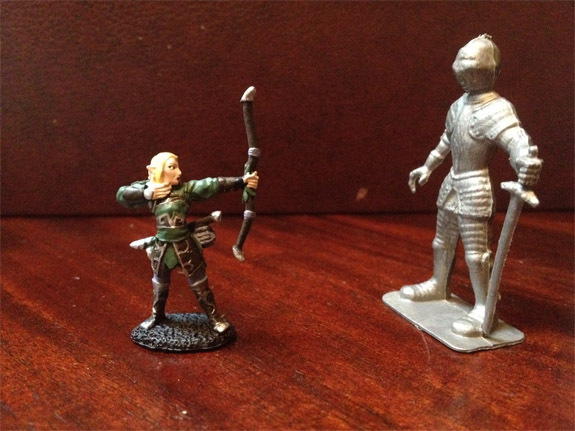 Most of them are really out of scale for normal use (for both the newer 1:60/30mm scale, or the older 1:72/25mm scale), but I do have some plans for them (shown with 1:60 scale elf bowman for reference). 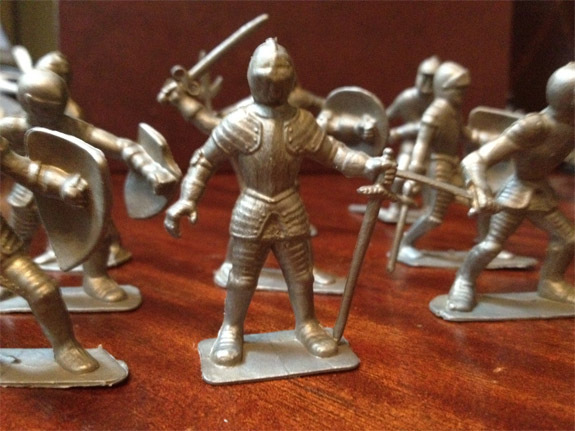 I plan on using the bagful of knights as living statues. 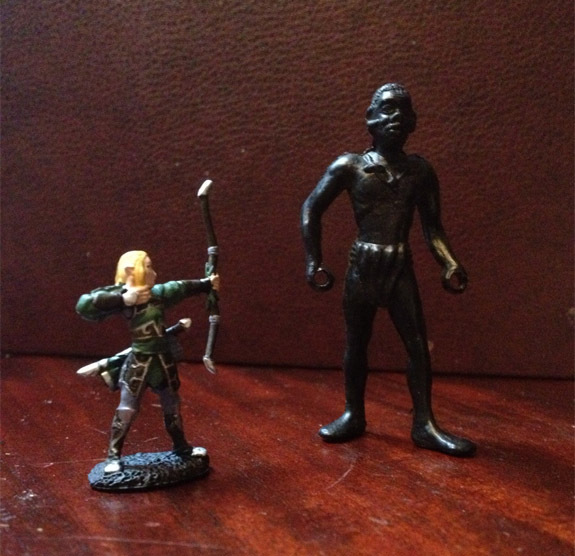 Not sure what to do with the slightly-politically-incorrect tribesman. The robot might make a good iron golem (and is about to scale). And finally, the cynognathus (the prehistoric thing labeled as such on its tail) is actually remarkably near scale (though a tad on the large size), but will probably end up getting statted here soon. There were a bunch of other animals that are about scale as well (rhino, gorilla, horses), but are pretty standard fare. Believe me, I searched each one of 30 bags hoping there would be. Those dinosaur bags are great. 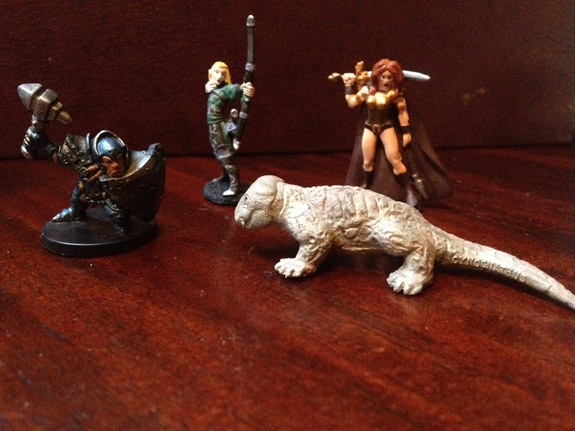 I recognize most of those figs from my wee years.